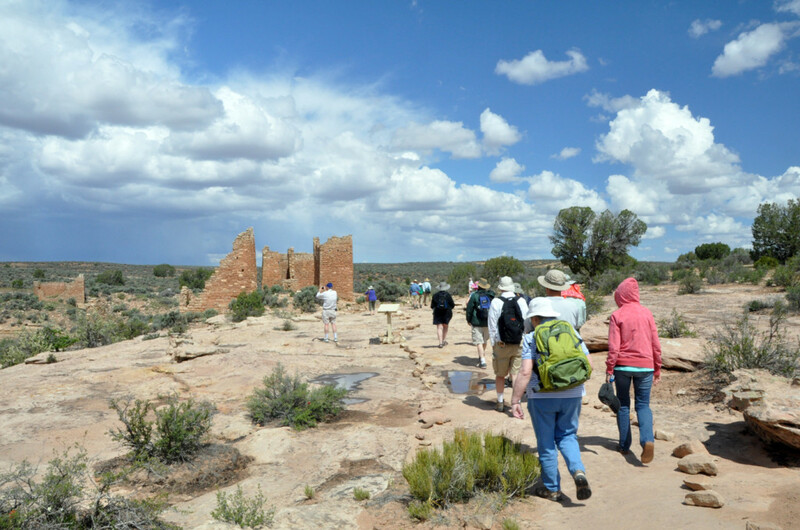 Join us on one of our most popular adventures in the heartland of the Anasazi world. 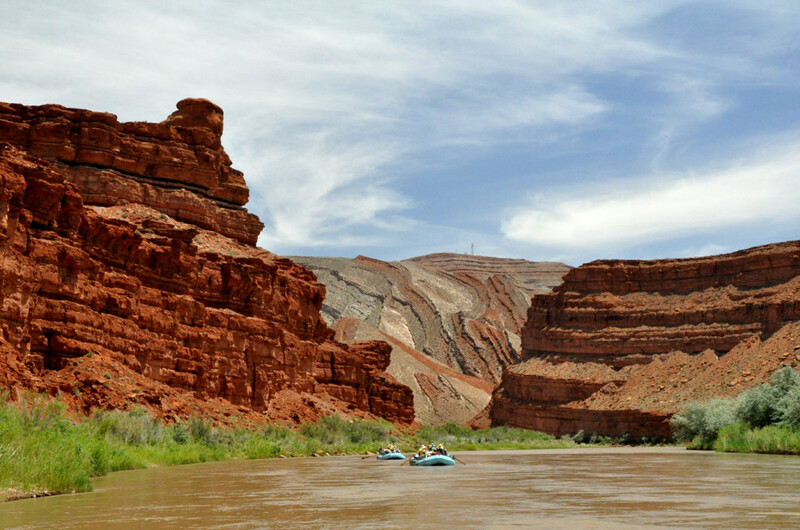 From land and from the vantage point of Utah’s San Juan River, you’ll experience one of the most scenic regions of the Southwest. We’ll begin our adventure with two full days of site visits on land, then we’ll board our boats and float down the San Juan River for four days, stopping often to visit Anasazi ruins accessible only by river. At night we’ll camp under the inconceivable Southwestern sky. David Grant Noble, noted author (his books include Ancient Ruins of the Southwest), will be our guide. Join us in picturesque Bluff, Utah for an orientation dinner. We’ll spend the next three nights at the Recapture Lodge. In the morning we’ll travel by land to the nearby Bluff Great House. The people of Chaco Canyon caused this great pueblo to be built some 75 miles from the center of a complex system that dominated the Southwest in the 11th and 12th centuries. We will also visit Edge of the Cedars Pueblo and Museum and the dramatic Wolfman Panel. We’ll visit Hovenweep and Canyon of the Ancients National Monuments, where we’ll see cliff dwellings, towers and kivas (subterranean ceremonial rooms) in the canyons of the Four Corners. 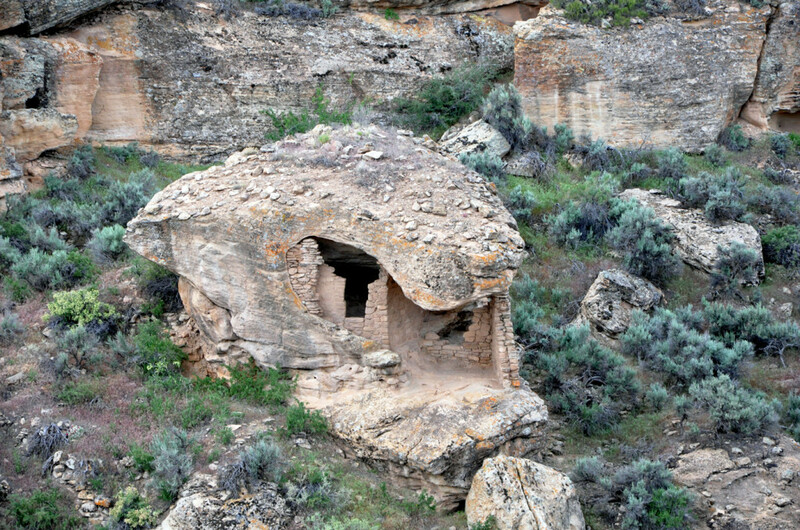 These ruins relate mainly to the Mesa Verde culture that followed the Chacoans and utilize the same architectural techniques as the famous cliff dwellings. 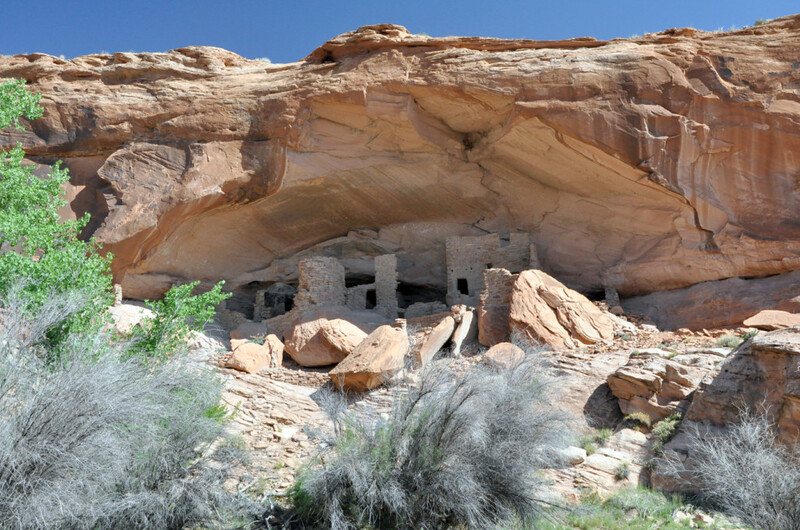 Between 1250 and 1300 all of the Anasazi left the region, never to return. We board our rafts at Montezuma Creek to travel down river to Mexican Hat. Our outfitter for the trip, Wild Rivers Expeditions, will expertly navigate our large rafts through several small rapids, but no dangerous white water. They also provide us with marvelous, plentiful and unexpectedly extravagant food. Camping for three nights under the brilliant sky will expose us to the peace and solitude of the San Juan wilderness. Our river trip will be a leisurely archaeological, botanical, and geological seminar. 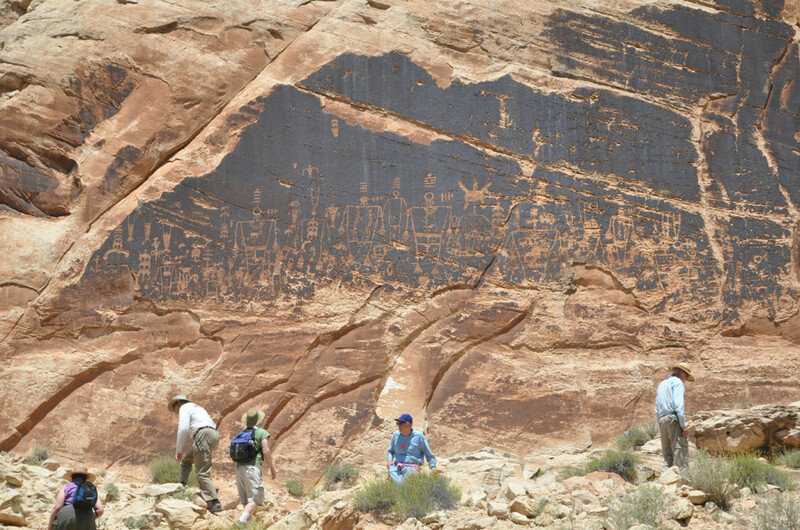 We’ll stop often to look at spectacular rock art sites like Lower Butler Wash. We’ll visit remote cliff dwellings like the Citadel, 16-room House, River House, and Chinle Wash. We’ll hike to seldom visited ruins along the San Juan’s side canyons. We’ll study in depth the Anasazi culture as well as the more modern Navajo and see where sometimes they come in conflict. The geology of the San Juan is also spectacular. We’ll explore Comb Ridge, an uplift that soars above the river. The Lime Ridge Anticline exposes rock layers 300 million years old and the remains of ancient undersea algal mounds known as biohermes. Exposed fossil beds will teach us about life forms that thrived in our oceans 300 million years ago. After four days on the river we’ll reach the village of Mexican Hat and return to the lodge in Bluff for a hot shower, and a farewell dinner. To join us contact us at tactours@nm.net or by phone at (505) 266-1540. NOTE: The tour is open to people in good health who enjoy the outdoors, hiking, and camping. The most vigorous hikes are of moderate difficulty. June weather is usually warm and sunny. Cost includes hotel accommodations on June 3-5 and on June 9, based on double occupancy (single supplement is $175), all meals, refreshments and happy hours. Rafting equipment, boat crew, cooks and expert guides are provided. Not included is your personal sleeping gear (i.e. sleeping bag, pad, and tent). You may bring your own or rent them from the outfitter. Transportation to and from Bluff, Utah is not included.